ENUGU— The Enugu state Commissioner of Police, CP, Emmanuel C.S Ojukwu will on Friday this week, proceed on a terminal leave from service in the Nigerian Police Force, NPF, as he has attained the specified retirement period in the service. This was made known in a Sunday service at House On The Rock Church when the outgoing CP informed members of the public of his retirement from service, inviting them to participate in the sent forth ceremony that will be organized on his behalf. A ceremony marking his retirement from office as was gathered, will take place in the morning of Friday, 28 October, 2016, in which his colleagues in the Nigerian Police Force, Nigerian military, including other top government officials shall converge at Michael Okpara Square to bade farewell to the outgoing Commissioner of Police. Meanwhile, mixed reactions amongst residents of Enugu metropolis has continued to trail the overall performance of the CP’s short lived service in Enugu state. While some remarked his efforts in reducing the rate of armed robbery and other sundry crimes during his short term service, others noted that his inability to nip to the bud, the menace of Fulani herdsmen in certain communities in Enugu state is below average and less than expected. 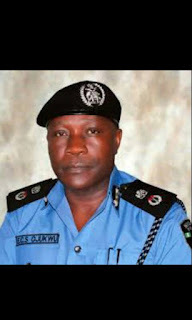 “The outgoing Commissioner of Police in Enugu has been able to curtail to some extent, the rate of armed robbery, hired assasins, and other dangerous crimes in Enugu state, I wish him well in his future endeavours as he bows out of service on Friday,” a respondent told this reporter. Another respondent who rather choose to address the sack of the former CP Ekechukwu said “How does the sacking of a Police Commissioner address the problem of insecurity in Enugu state? If the Nigerian police failed to train him to do his job properly, who is to be blamed? “The police in Nigeria lacks the resources and capabilities to effectively police Nigeria. How does sacking a CP address this structural problem? What assurance is there that with a new CP in Enugu, the security situation will improve? “Is the new CP a Superman that his presence will make the herdsmen disappear or that he can use the poor resources of the Police to magically protect Enugu residents? This is only a cosmetic approach to solving issues, Nigerians like and they have sacrificed this CP to please Nigerians. “In solving the problem of insecurity in Nigeria, the question of why the Police are not in a position to secure Nigerians should be asked, not sacking a CP to divert public attention from the inability of the Nigerian police as an organization to carry out their constitutional duties effectively,” he bluntly added. Government in Enugu state by rampaging Fulani herdsmen which led to the death of scores of innocent citizens and the burning of several houses and properties which caused outrage among the people of the community. Until his appointment, CP Emmanuel Ojukwu was the Commissioner of the Police, Eastern Port Command in Igweocha(Port Harcourt). He was once the Commissioner of Police in Kogi state. CP Ojukwu had also served in the past as the Assistant Commissioner of Police in charge of Force Public Relations Department of the Nigerian Police and the Deputy Commissioner of Police in charge of Criminal Investigations Department at Zone 7 Police Headquarters, Abuja. Before this, he had served as the Deputy Commissioner of Police in charge of State Criminal Investigation Department in IMO state Police Command. He is happily married and enjoys writing books. On his assumption of office as Enugu state CP, Ojukwu promised to partner with all relevant stakeholders as well as the good people of Enugu state, other security agencies and the media for effective crime prevention and control in the state.